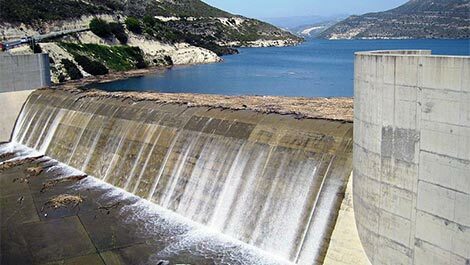 Permission to construct a large residential development that may lead to the contamination of water in the Kouris dam (the largest on the island) is to be investigated by the Attorney General. A FORMER Interior Minister had granted an exemption to a developer to build a large-scale project near the island’s biggest reservoir, putting the water supply at risk of contamination, the House Environment Committee heard on Friday. The committee also heard that the Attorney-General would be looking into whether any irregularities had taken place. Green Party MP Giorgos Perdikis charged that former Interior Minister Christos Patsalides, just before leaving office in 2008, had granted an exemption to extend the residential zone in Alassa some 60 metres from the Kouris reservoir. Perdikis said the area was four times bigger than the current area occupied by the Alassa community. The permit had been issued to Alpha Panareti, which submitted plans for a mixed development including a golf course, and 1,010 residences near the village that currently has 200 homes. The golf course application was later rejected. Perdikis said the water development department strongly opposed the development because it violated the protection zone around Kouris dam and there was a serious danger of the water being contaminated. A water department official told the committee that town-planning had asked for their view on changing the zone. On January 14, 2008, the department asked for additional information, considering the matter very serious. In the meantime however, the minister signed the decree to change the zone, granting a 40 per cent building coefficient. The project is also opposed by the island’s Scientific and Technical Chamber (ΕΤΕΚ). The community says that their need to develop their properties must also be taken into consideration. The developer suggested that the water department must find other ways to protect reservoirs, not through obstructing development. The company said it was prepared to exchange the property next to Kouris with other land of equal value. The former posters have said it all: just wanted to register my continued disgust with the flagrant corruption still prevailing on this lovely island. Good clip Nigel; spot on. Kayleigh makes a very good point. Why should any developer with unfinished developments or with unpaid taxes (or both) be given any further permissions to build anything anywhere on the island, particularly not next to the principal water supply. Withholding all further permissions might be a useful tool to bring these maverick operators to account. Thank goodness for the old nod and a wink system of governance and commerce otherwise where would we be if we had to abide by legislation, regulation, codes of practice and general transparency. In answer to Kayleigh Alpha can supply collateral for its loans in that it has other tracts of land it can mortgage and part finished buildings that can be presented as collateral. As long as it can delay issuing title to purchasers who have bought properties it is fine so can continue to borrow. The strong developer lobby will ensure that the system remains untouched and so the cycle continues. I don’t understand. Where is Alpha Panareti getting its money from to fund such a development? Has it forgotten about its unfinished developments that lay derelict, such as Arcadia Gardens and Terra Divina?